Today we are enjoying our first snow day of the year. 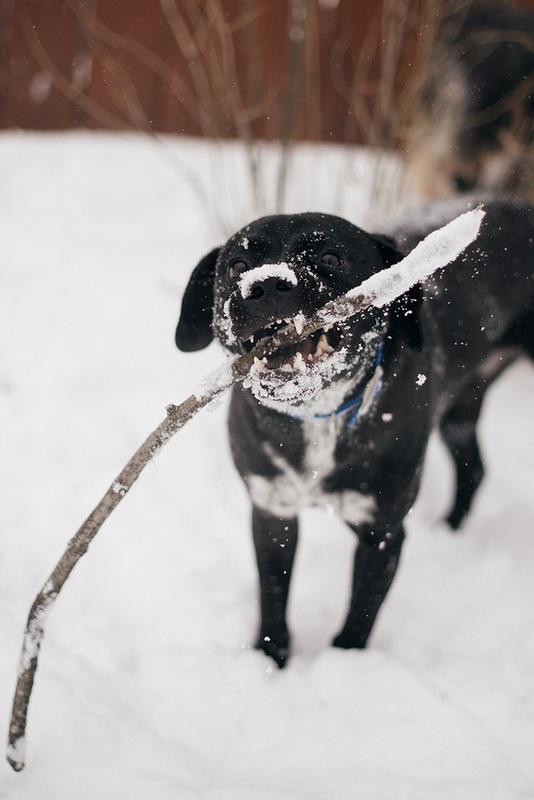 While I know there are some adults who really love winter, I think it best enjoyed by dogs and kids. 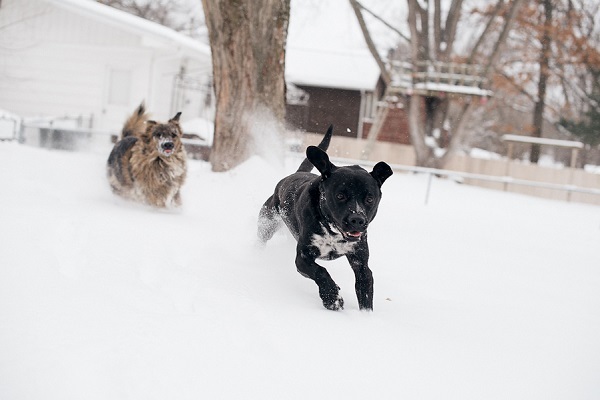 Melissa Sigler captured her dogs’ joie de vivre on a snowy day! 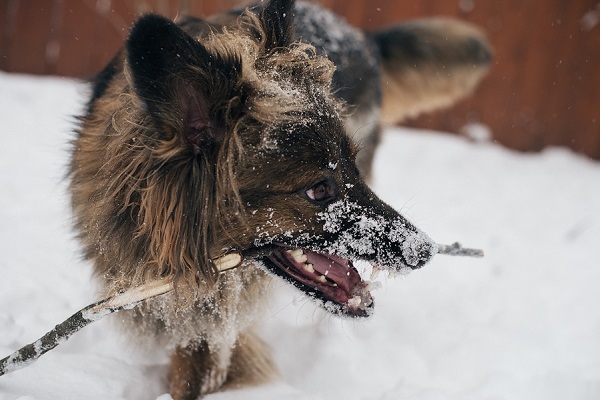 From Melissa: “My two fur loves having a blast in the first big snow of the season! 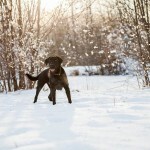 Riley (Black Dog) – 6 years old. We thought he was a black lab mix, but we just did a DNA test on him and he came back as 1/4 Boxer, 1/4 Chow, and the other side of his lineage was so mixed they don’t know. They said it was likely he is part Swiss Mountain Dog mixed with various other mid-sized breeds. I found Riley on a Petfinder-like website, and he was being fostered at a country estate. He was the last of the litter…the runt. His name was “Stormy” originally, but I like to give my pets human names, so we dropped that quickly and named him Riley. (Nicknames Riley-Face or just “Face”). Riley is the classic goofball of the family. Not street smart and pretty goofy, but is very food motivated and we have taught him a lot of fun tricks. He makes friends with just about anyone. 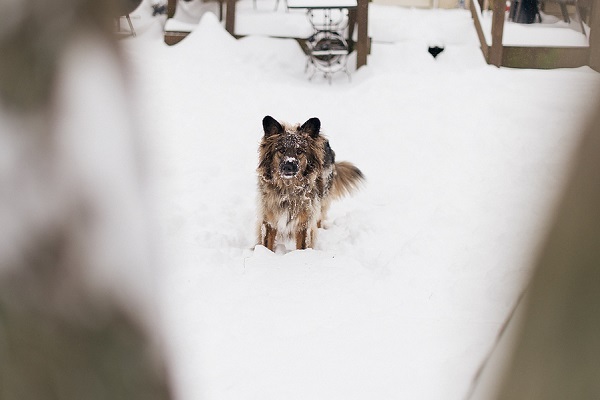 Meika (Multi) – 4 1/2 years old, German Shepherd/Australian Shepherd Mix.We found Meika and her litter on Petfinder, and they were fostered in a town about an hour away from us in Missouri. Someone had dumped her and about 5 litter mates and they were picked up. We drove to pick her up at about 11 pm one night, as we knew she’d be adopted soon. She was the smallest out of the litter which we wanted because we didn’t want a huge dog. Some of her siblings were fluffy like she is, and some looked quite different. Meika is the “princess” of the house. She doesn’t care about food, so we haven’t had luck teaching her many tricks, and she pretty much does what she wants. As a puppy, she had pretty bad hip dysplasia, and we imagine she will have trouble when she’s older, so we have to feed her a prescription diet and watch how much she exercises. She’s very vocal and won’t go anywhere without big brother Riley. Meika is a great peacekeeper as well. When my husband and I argue, she tries to keep the peace. She does this by pawing at us, jumping up and licking us, or trying to distract us in some way. It’s so incredibly sweet! Follow Melissa Sigler Photo on Instagram. 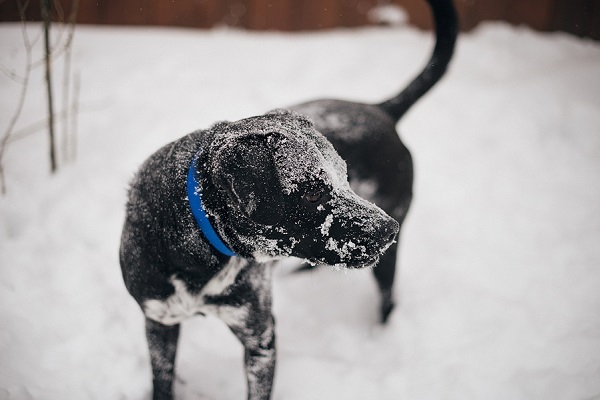 About Melissa Sigler Photography: Based in Mission, Kansas, Melissa specializes in journalistic wedding photography and senior portraits, She also photographs dogs that are available for adoption. Those dogs are both so cute! 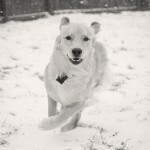 I love the snowy photos! 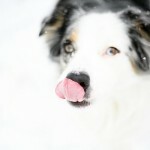 I do too, I tried to take some of my dogs today, but they are so short the snow is as deep as they are tall. I don’t think I got anything usable. I know Laika appreciates it! 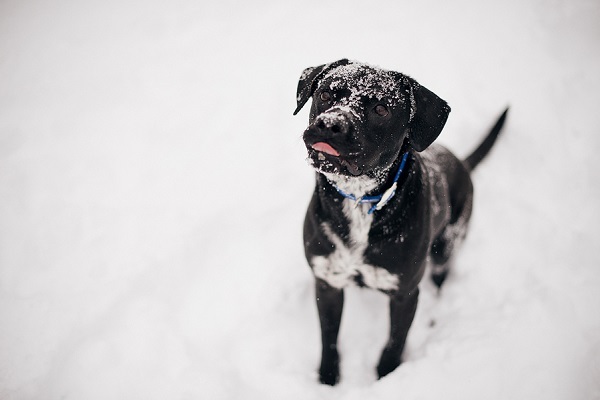 I love photos of dogs playing in the snow! I especially like the last one where they’re bounding.